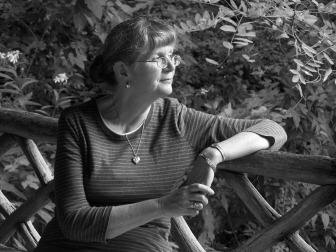 Mary Linda Miller is an author and small press publisher currently residing in Orlando, Florida. Her writing includes a novel Liminality: The Fox Woman's Child, which combines Japanese mythology and religion with mid-20th-century American history; a children's early-chapter book Terry Trackhoe Goes Missing that was illustrated by Carmelo Monti, AIA; poetry that can be found in three anthologies; four books of genealogy and family history; a technical manual for interpreting American with Disabilities Act Design Standards for the Hawaiian State Commission on Persons with Disabilities; and a technical manual for corporate civil engineering AutoCAD drafting standards written in Phoenix. She and Carmelo Monti also published a book of photography An Hour Over Denali after viewing Denali National Park from the air. In addition to cover-to-cover design for her own books, Mary also helped with editing, proofreading and book design for other work, including a cookbook for Risen Savior Lutheran Church, Jason Monti's comprehensive A Dictionary of Japanese Counting Words 日本語数詞英和辞典, and Carmelo Monti's collection of cartoons Is Your Mind Like Your Hair? Is Your Mind Like Your Hair? © Copyright 2010 & 2011 Mary Linda Miller. All rights reserved.